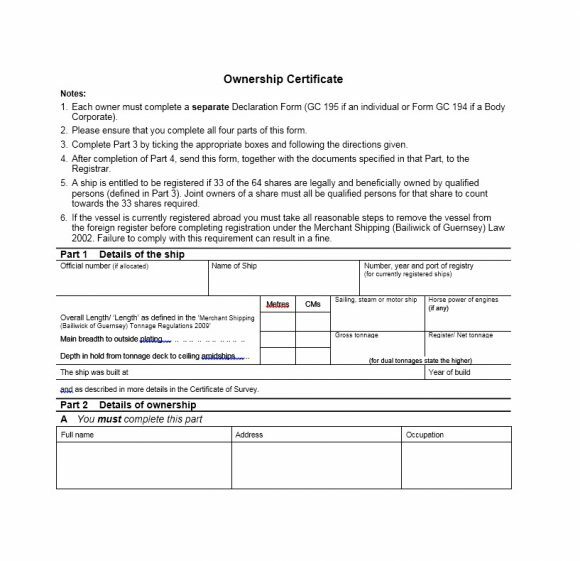 2 When would you need a certificate of ownership? 4.2 Motorcycles, cars or trucks. 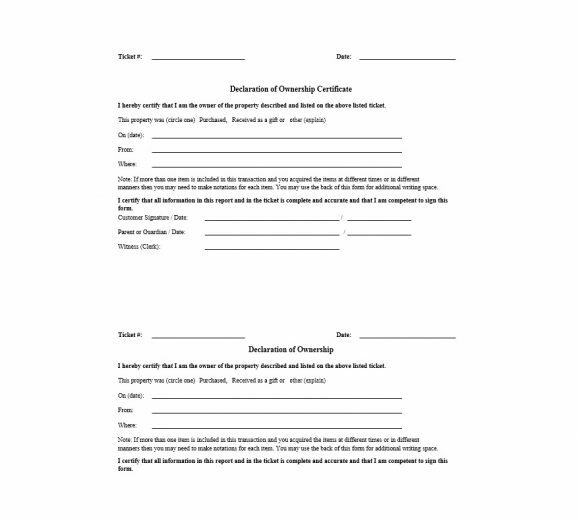 6 The difference between a certificate and a deed. You may want to transfer your asset to someone, whether voluntarily or because the person bought it from you. 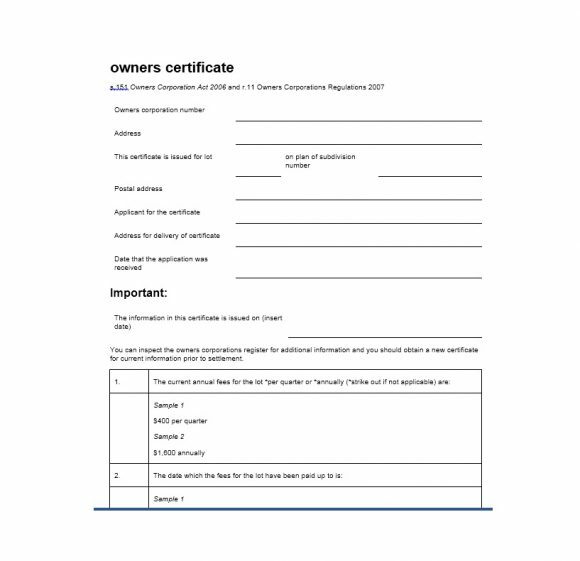 In this case, you may also have to transfer the certificate to the person who will own your item. 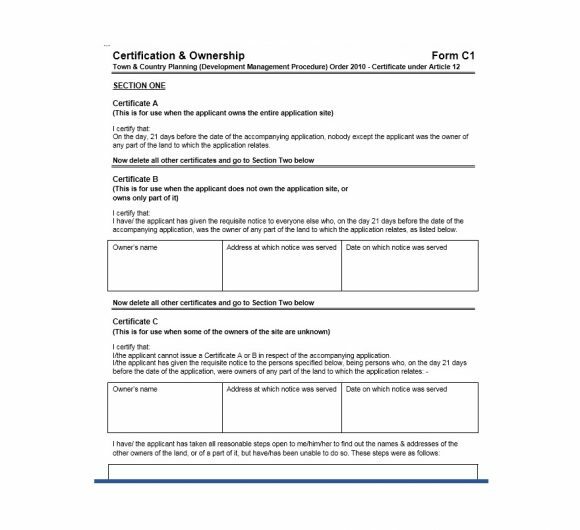 All you’d have to do is make a new certificate with the details of the person you’re giving your property to. Then, you can have it notarized by an official Notary Agent, thus, making the document formal and legal. You may have such certificates for your all your assets. 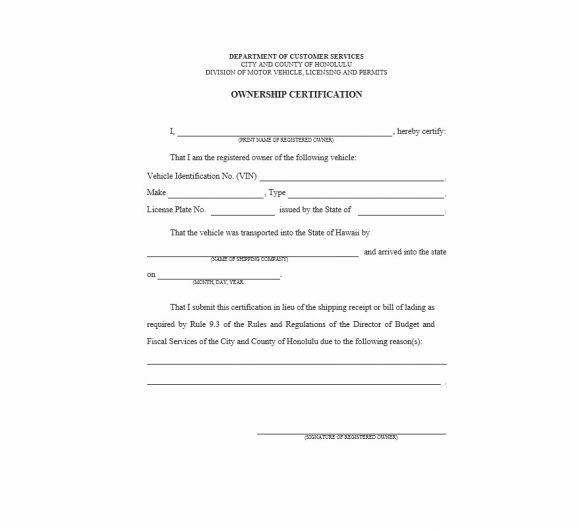 You may have one for your home or you may even have a certificate of ownership for your car or other types of vehicles. The place you bought your items from may issue the certificate to you. Either that or you can make one on your own and have it notarized to make it an official document. 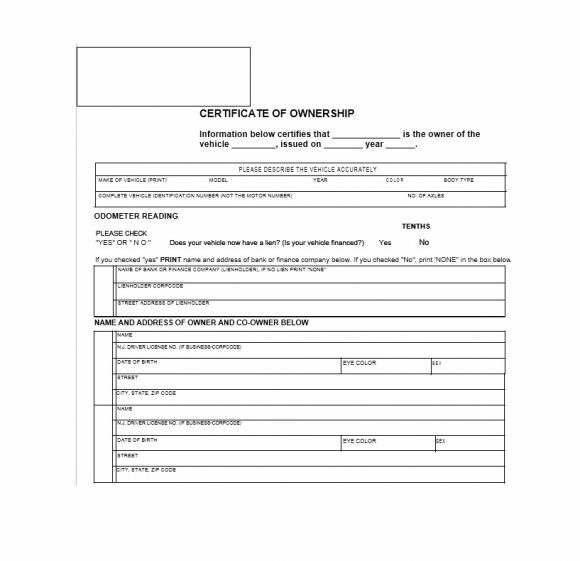 When would you need a certificate of ownership? Manufactured homes. 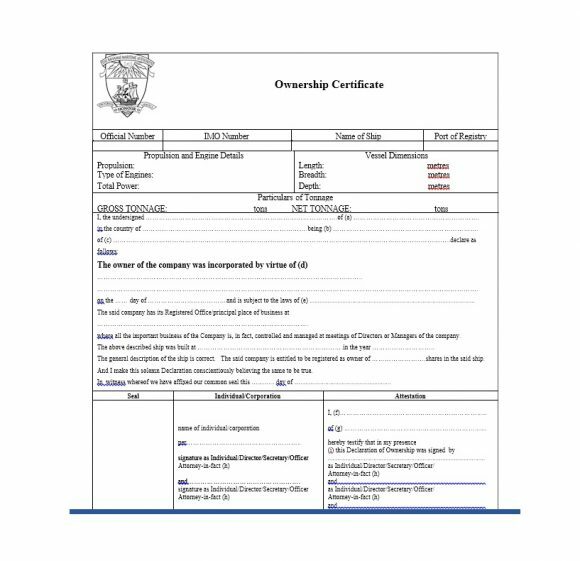 Besides, the original certificate, you may also need an original copy of the Manufacturer’s Certificate. Alternatively, you can provide Statement of Origin (MCO/MSO). If you bought your manufactured home from a dealer, you may also need a bill of sale. Have it along with the documents to prove your ownership. Motorcycles, cars, and trucks. 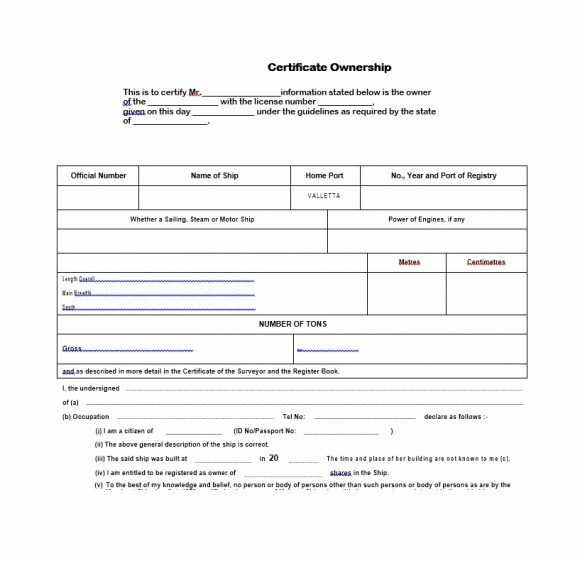 You must have an original copy of the certificate to prove your ownership. Motorized boats. On having a motorboat that is at least 14 feet in length and it’s a 1987 or newer model. 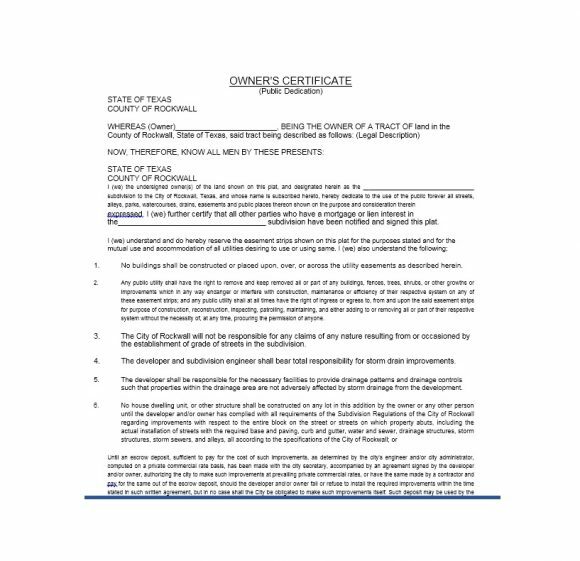 Then you need the original copy of the certificate. On having a motorboat that is less than 14 feet in length and it’s a 1986 or older model. 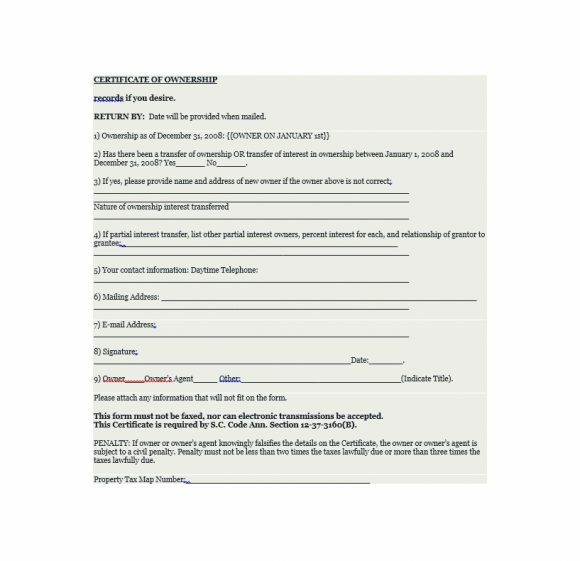 Then, you also need the original copy of the certificate. Trailers. 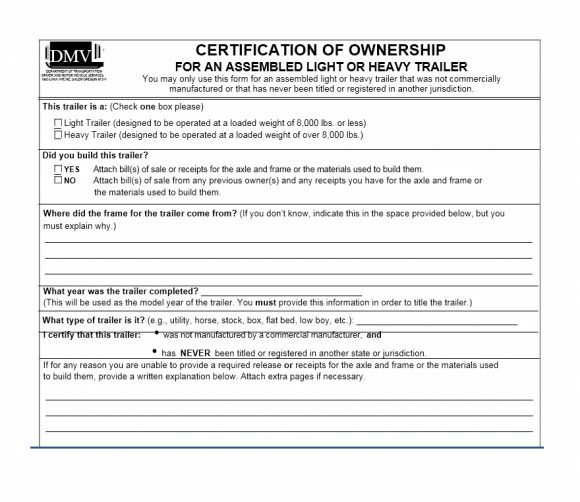 No matter what type of trailer you have, you need the original copy of the certificate as proof of ownership. If you’re planning to buy a vehicle from a dealer, the dealer must have acceptable evidence. It must state that they own the vehicle they are selling. So, it’s best to buy vehicles from dealers which are DMV-licensed. 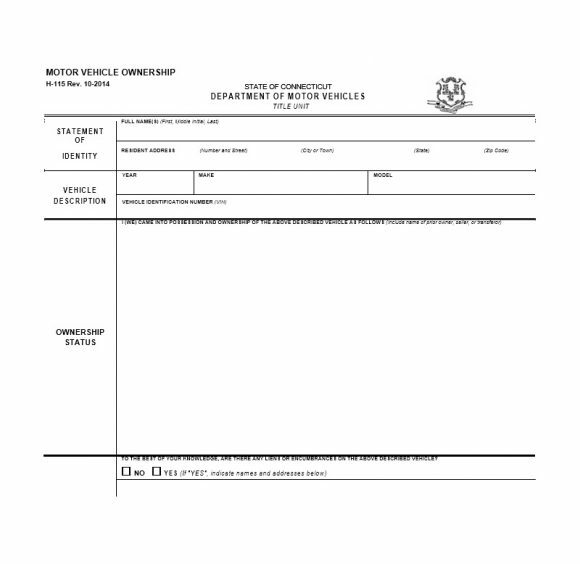 The usual proof of ownership for a brand-new vehicle is the MCO, MSO or a Retail Certificate of Sale. 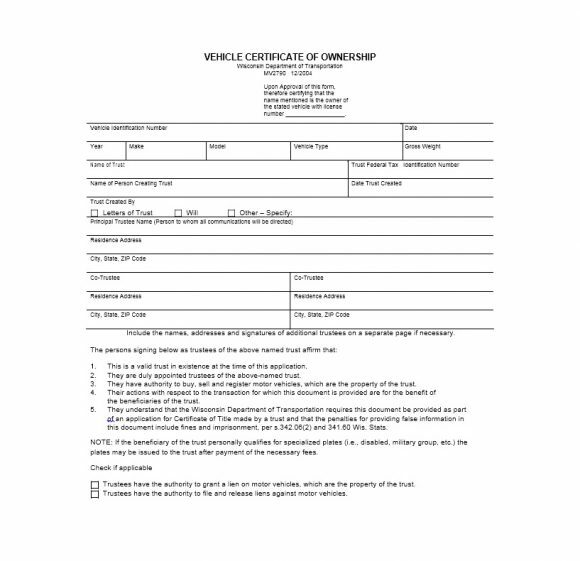 For a used vehicle, the usual proof of ownership would be the certificate of ownership for the car. It will also have a signature. 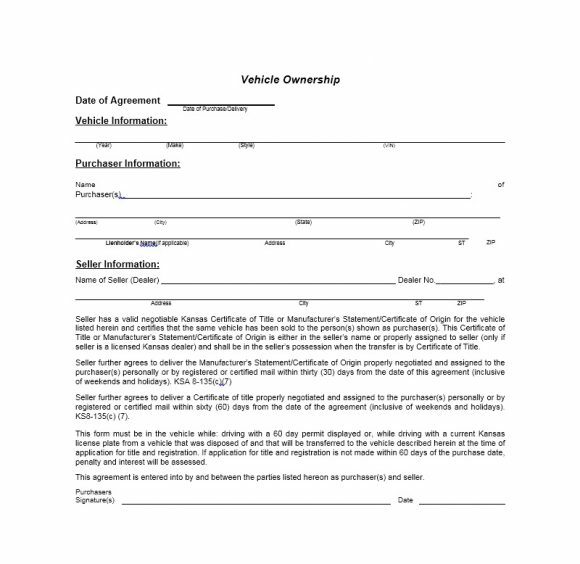 This signature verifies that the owner has transferred the ownership of the vehicle. Then, the Retail Certificate of Sale would serve as a proof. It will state that the dealer transferred ownership. 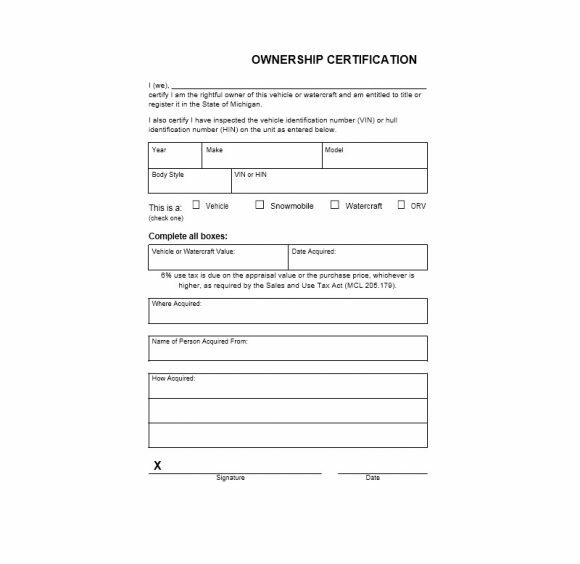 Whether you buy a new or used vehicle, it must come with a certificate of ownership or any other proof. Otherwise, you may have to file a complaint. You might also want to purchase a vehicle or receive one from another person. In this case, you still need to make sure that you get any kind of valid proof of ownership along with it. A certificate would be one of the best kinds of proof that you own the vehicle. It will clarify whether you bought it or the person gave it to you. 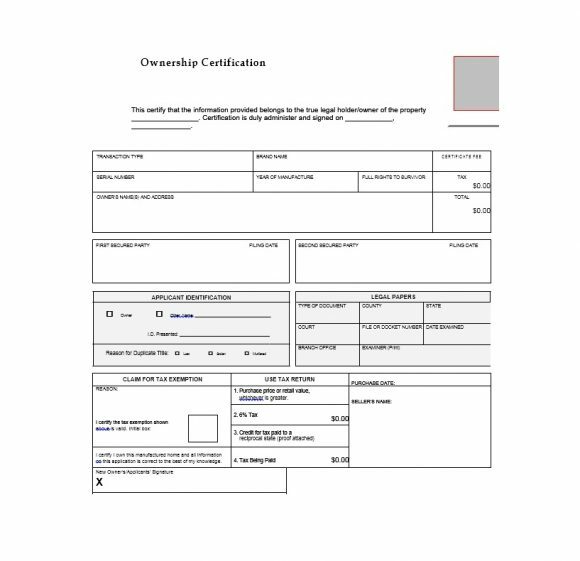 Usually, the certificate would also come with a bill of sale. However, you can’t acquire a form for this from the DMV. 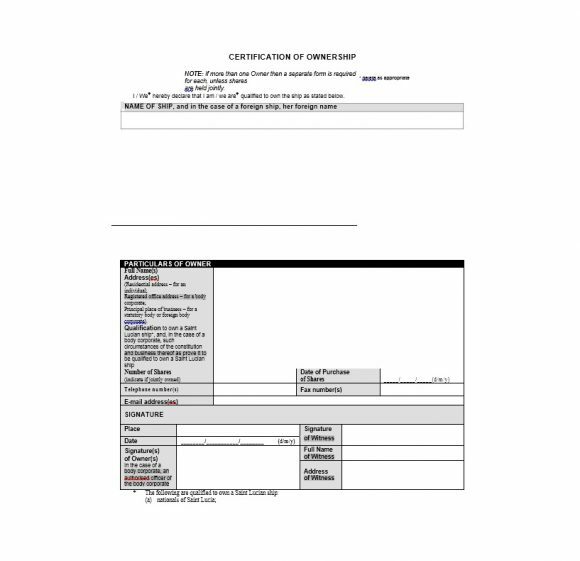 You and the seller (or giver) will complete this document. 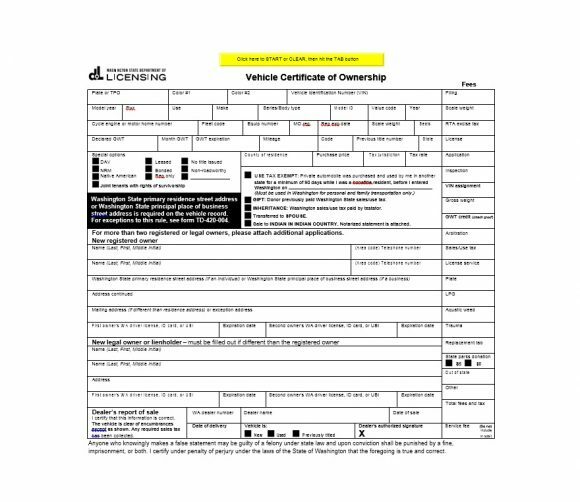 If you receive the vehicle as a present from someone, make a note of it on the bill of sale. You must clearly state the price of purchase as zero. No matter what kind of asset or property you own, it would be useful to have a certificate to prove that it belongs to you. Make sure you have the original copy of the document. 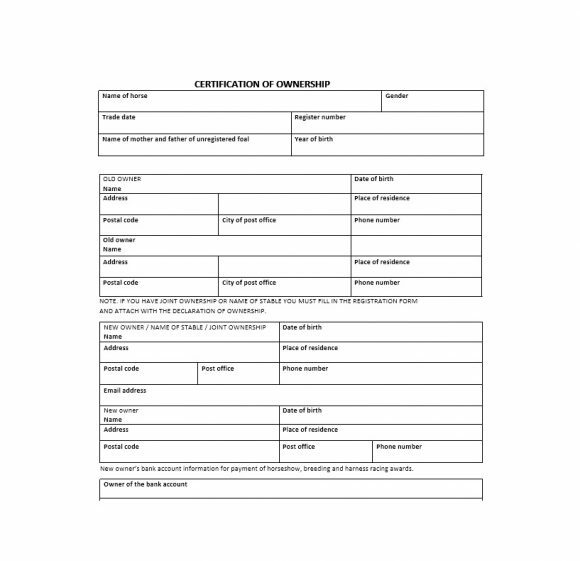 Also, make some copies of the certificate and other documents in case you need them for anything. There may come a time when you want to transfer ownership. You may either give something as a gift or sell it to another person. If you’re planning to sell or give a significant asset away, you need to follow some steps. This way, you won’t run into any problems in terms of ownership. 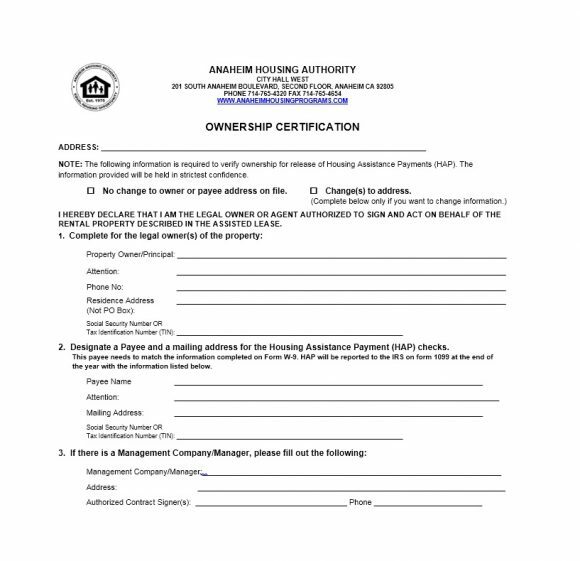 You can only sell a manufactured home if your name appears on the certificate of ownership. 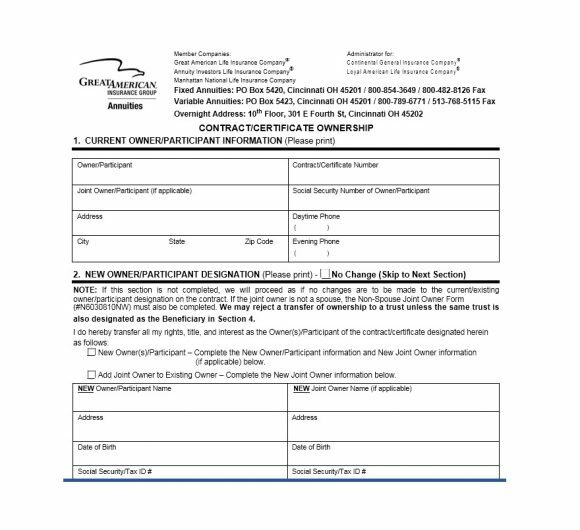 Just like with the vehicles, affix your signature on the transfer section and supply a bill of sale. If you’re the seller, your name must appear on the certificate or any proof of ownership. 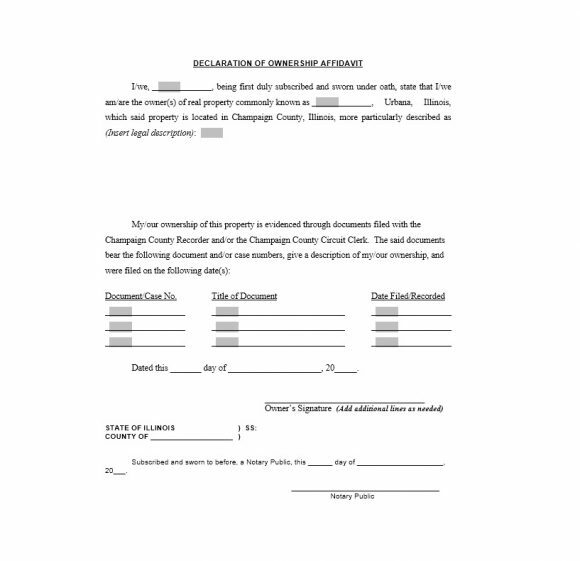 You must then affix your signature to the “transfer” section then also supply a bill of sale. 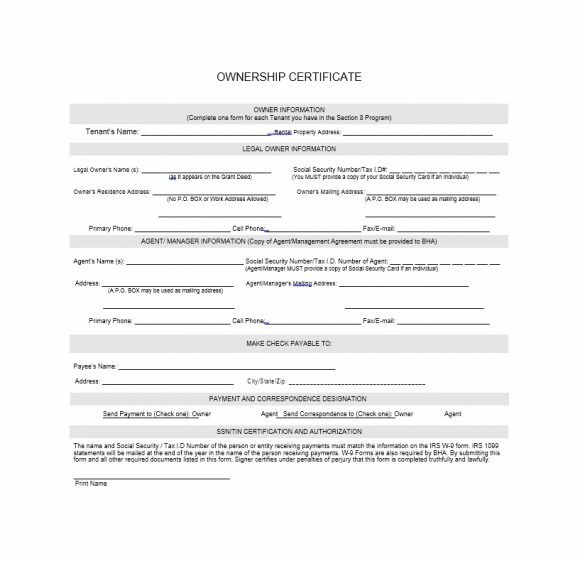 On having a certificate from someone else, you can’t use that to sell or transfer ownership to another. In this case, you’d have to apply for or make a new certificate. 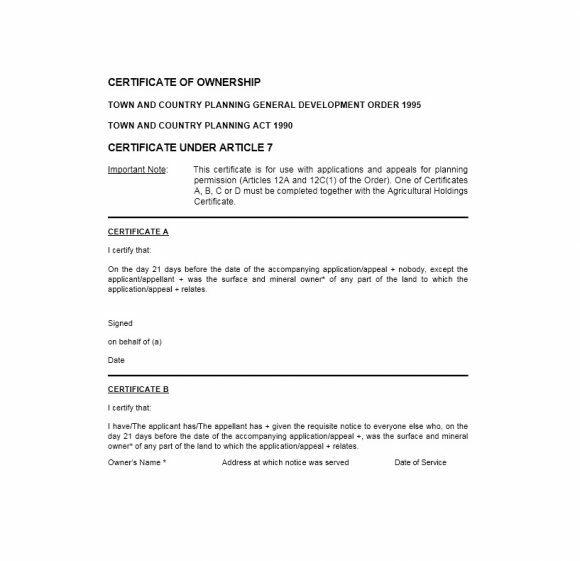 The new certificate must include the buyer’s name would appear on it as the owner of the property. You may use a transferable registration to transfer the vehicle along with a bill of sale. 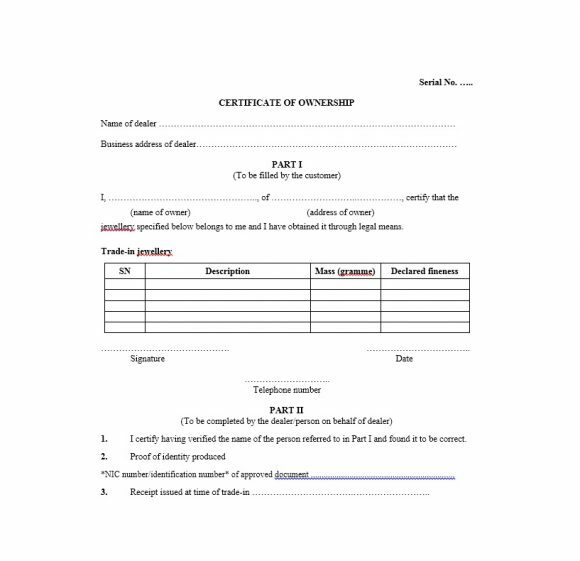 Make sure you sign the document to make it official. 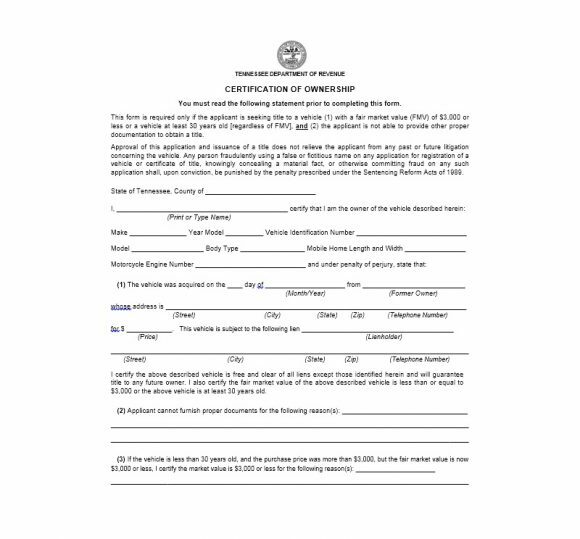 If you want to sell your motorized boat, your name must appear on the certificate or any proof of ownership. 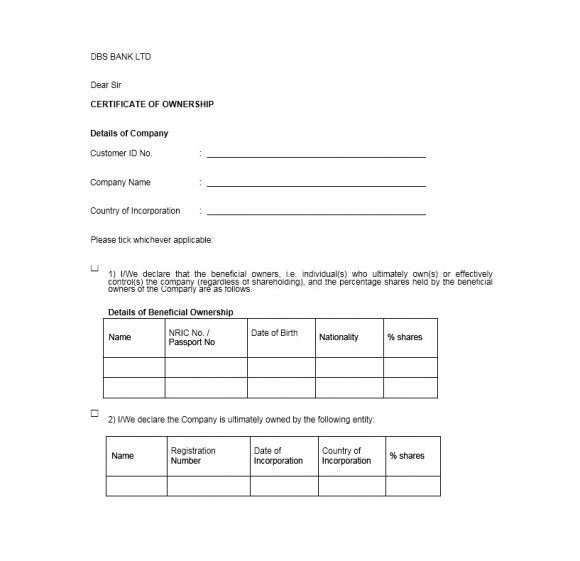 You must then affix your signature to the “transfer” section then also supply a bill of sale. But if you have a certificate transferred to you by someone else, you can’t use that to sell or transfer ownership to another. 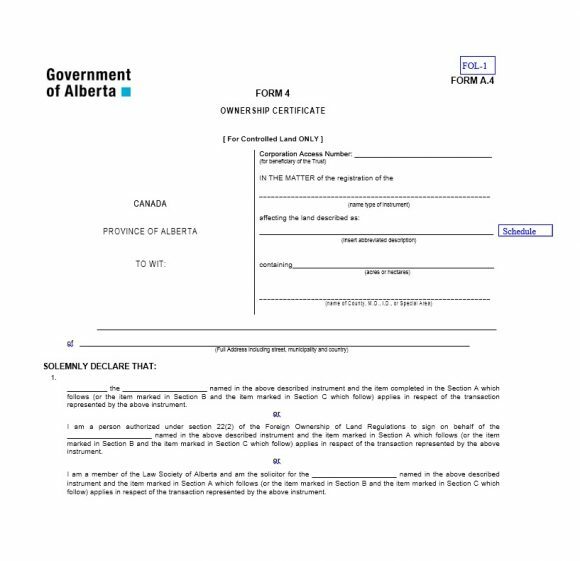 In this case, you’d have to apply for or make a new certificate wherein the buyer’s name would appear on it as the owner of the property. 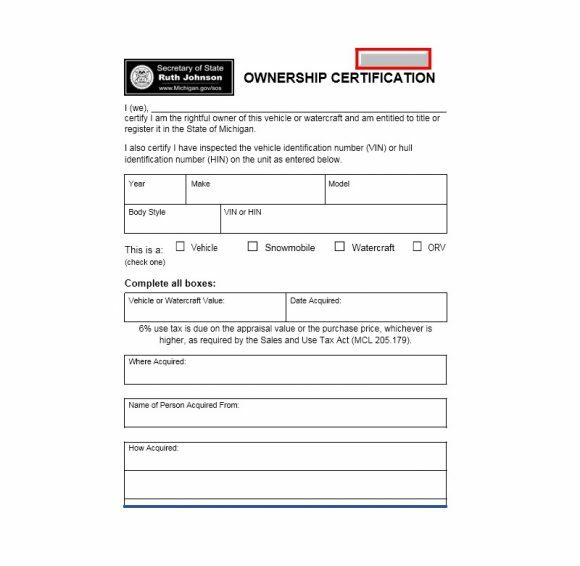 You can only sell a trailer if your name appears on the certificate of ownership. 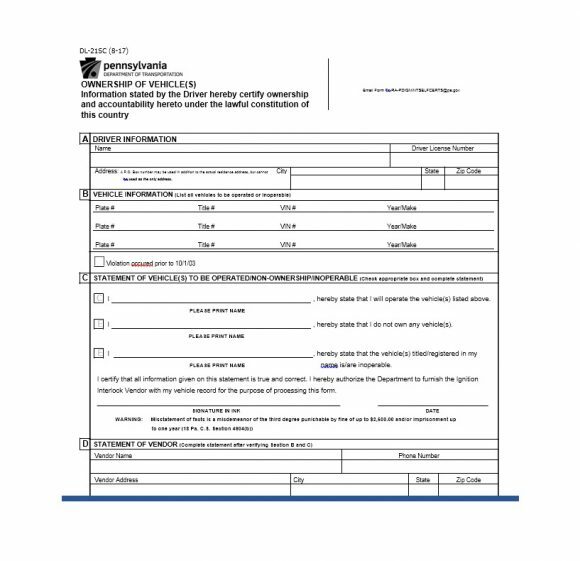 Just like with the vehicles, affix your signature on the transfer section and supply a bill of sale. 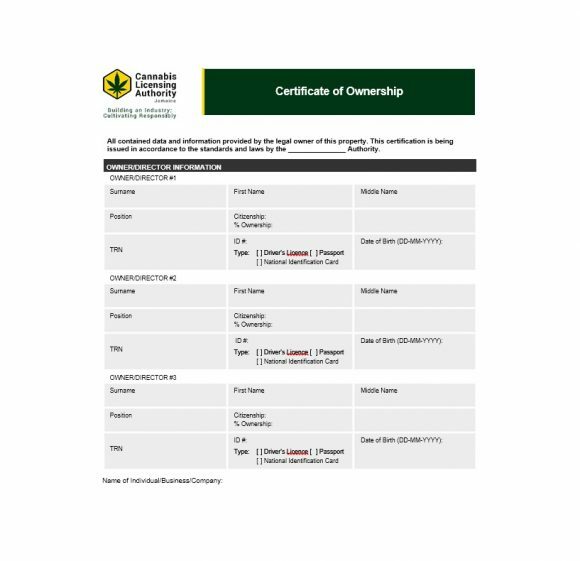 As you can see, that process of transferring ownership is the same for various kinds of assets. 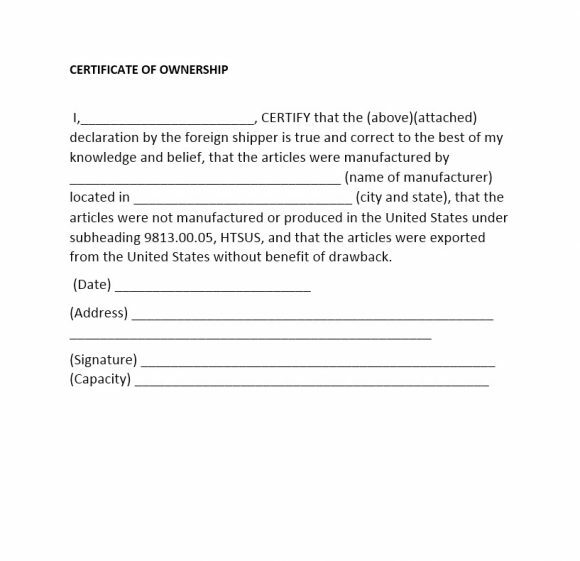 It involves signing documents which serve as proof of ownership. And one of the best kinds of documents is a certificate of ownership. Thus, it’s important that you have such a document. As it contains all the relevant and accurate information. In the case where the owner of the property is already deceased, the process is a lot more complicated. Usually, the ownership would go to the deceased’s spouse or children. A lawyer or an executor would be the one to perform the transfer process in this case too. In situations like this, there are a lot of legalities involved and it’s always best to consult with a lawyer. 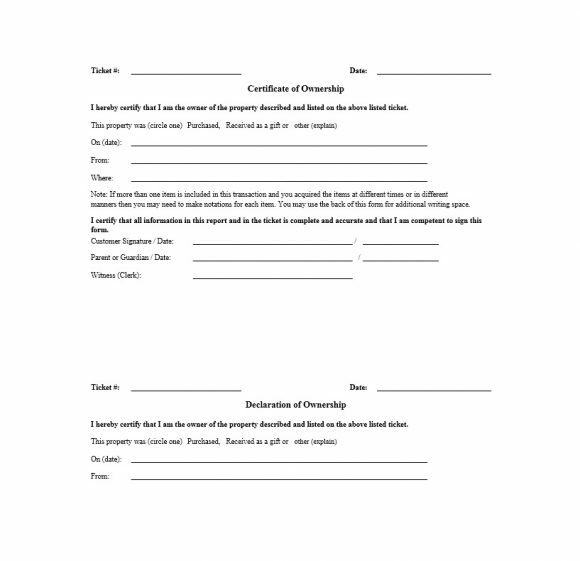 The difference between a certificate and a deed. 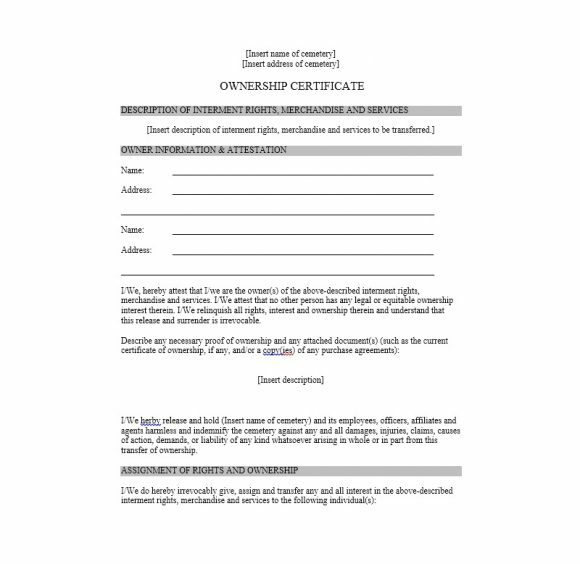 Certificates and deeds of ownership have one common purpose. That is to serve as proof that someone owns the property. 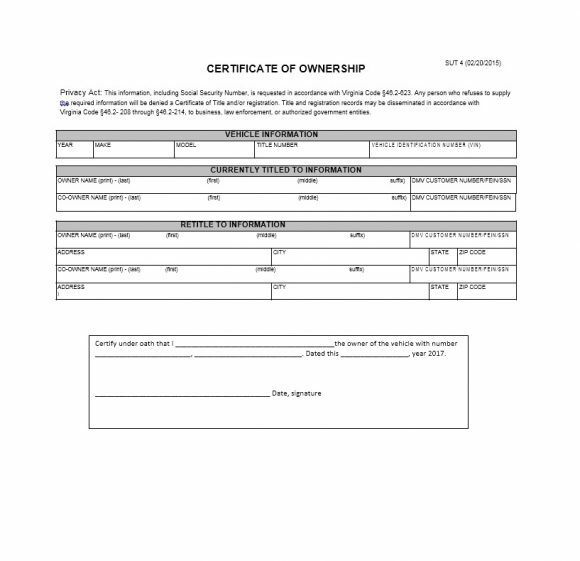 A certificate of ownership will have adequate information. It identifies the asset or property along with any encumbrances that go along with it. In general, this kind of certificate is usually issued by the state. 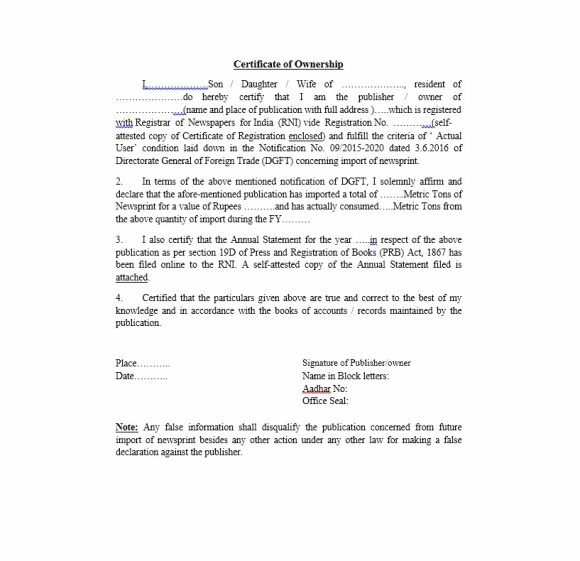 It’s a document which serves as proof of ownership of an asset or property. 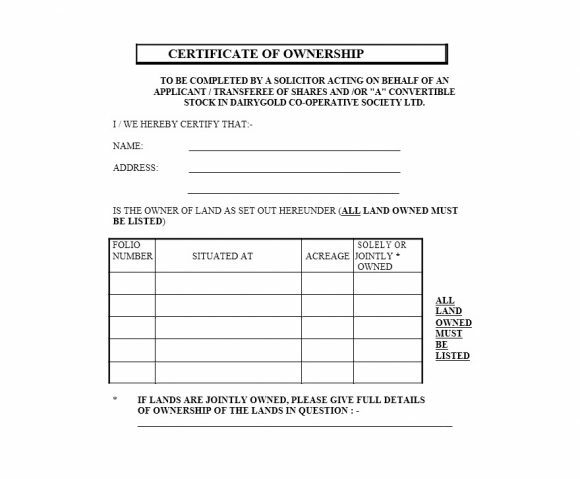 You may use this certificate for land (real property) or possessions (personal-property). 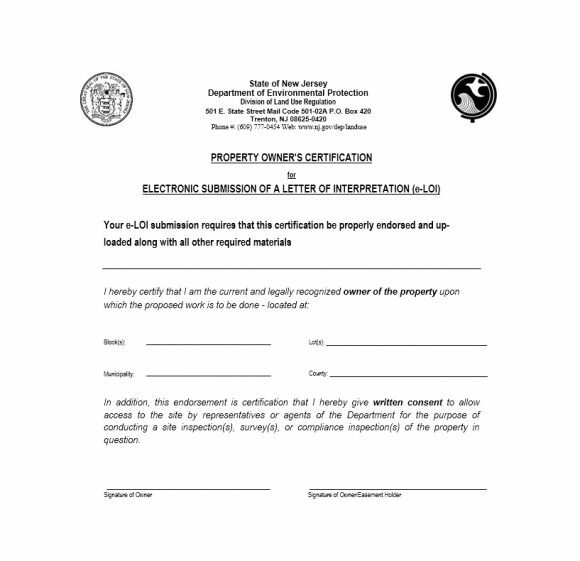 A certificate must include the owner’s name, the address of a property, and other features. One example is the license plate number of a vehicle. However, there are times when the property comes with a burden. 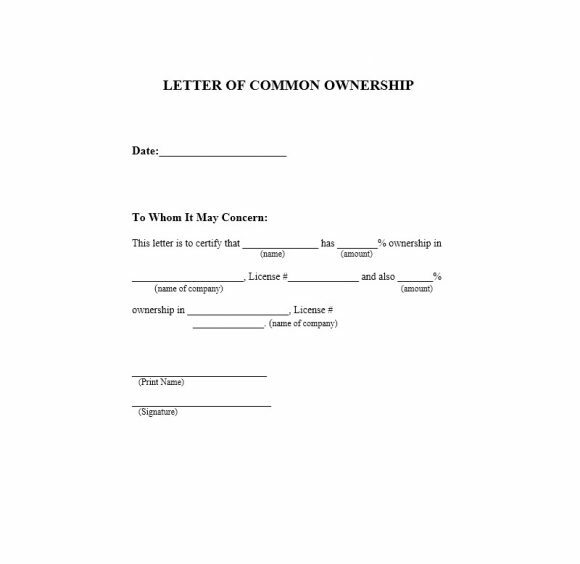 For instance, someone else other than the person listed as the owner may have rights to the property. 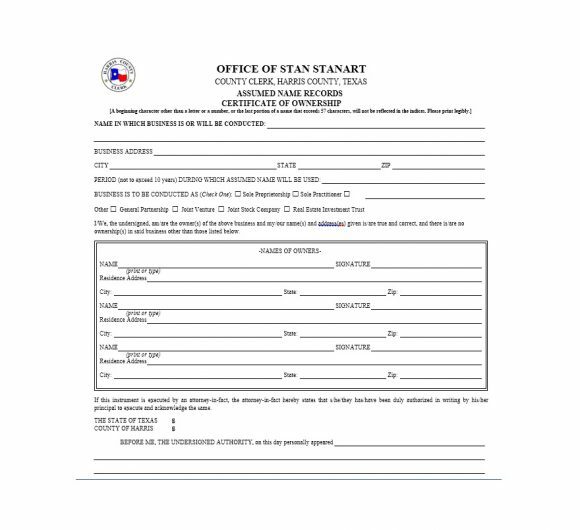 Some examples of this are a lien on a vehicle or a mortgage on a property. In such cases, the title would also include information about any such burdens. 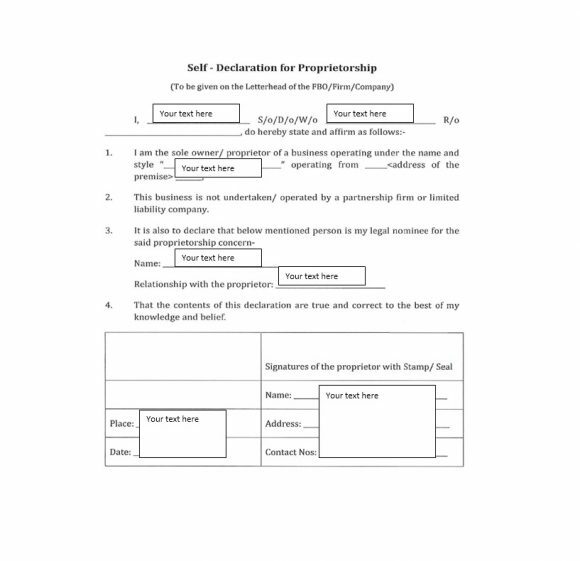 The sole purpose of a deed is for transferring real property. This means that you won’t need a deed for personal property or possessions. A deed would contain the property address along with some distinctive features. It also contains other things which one can use to find the property. It would also include the names of the parties involved in the transfer. Usually, the deed would also contain any agreements made by the buyer and the seller. Such information may include the price of sale and any limitations of using the property. 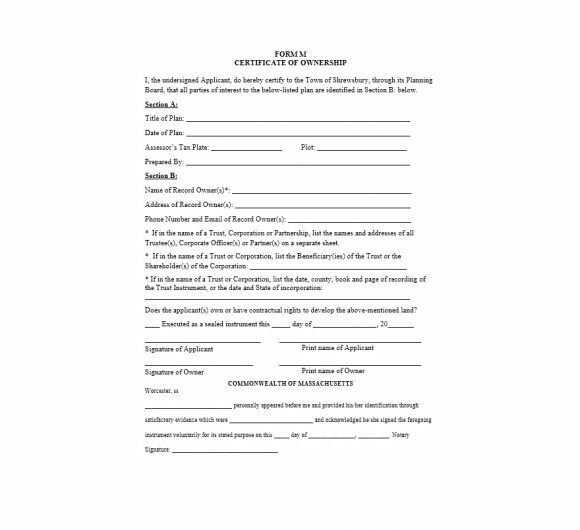 Nowadays, these agreements are available in a document called a “contract of sale.” This is then taken note of in the deed. 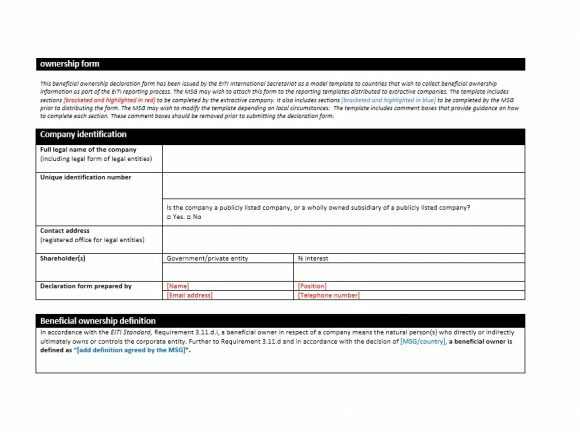 Simply creating a deed and placing the name of the new owner, won’t be enough to transfer a property. As a seller, you must legally deliver the deed to the buyer. This means that you would have to show your intention. It must state that new deed should take effect immediately and irrevocably. 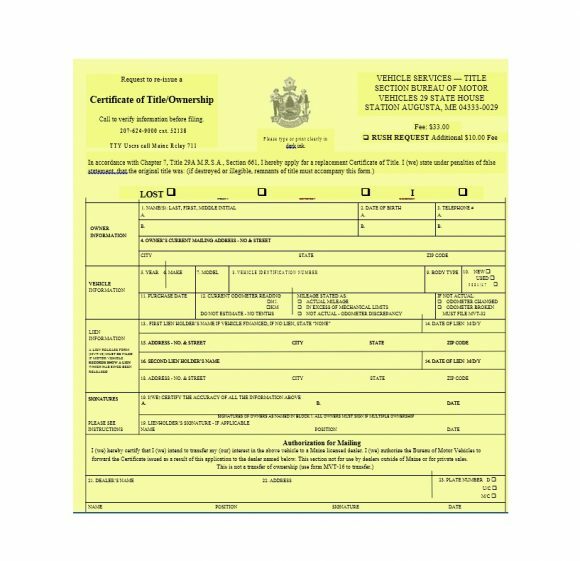 It seems simple, but there’s a lot to the process of delivering a deed. Most of courts recognize delivery if a seller physically gives the deed to the buyer. However, some parties have evidence that the deed wasn’t meant to take effect immediately. Then, the court may not recognize it as delivered. Instead, it will consider the delivery failed and therefore void the deed. Because of this, most people make use of an escrow process. In such a process, the seller gives the deed to a third party. It would come with instructions to give it to buyer upon completion of all the requirements for the sale. 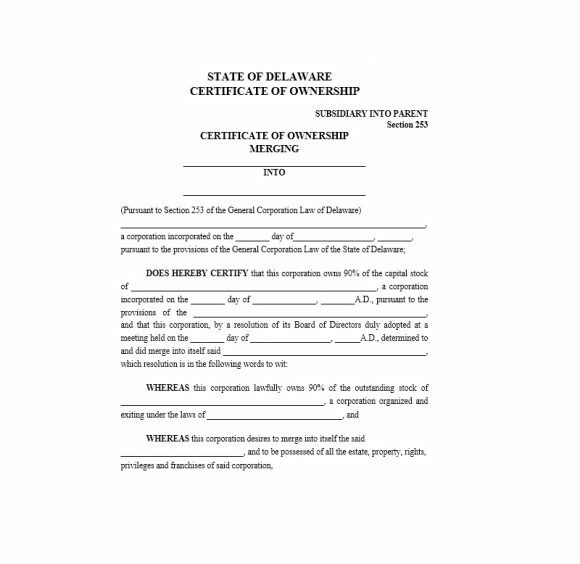 Keeping with transactions for real estate, certificates of ownership may be especially relevant. This is because you can’t just pick up a piece of property or a piece of land and transfer it to someone else.